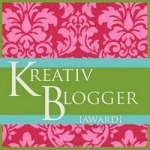 Thank you very much for your nomination “canadianmommytime.” Since I am new to blogging this is a considerable honor. You were the first person, I didn’t already know, to subscribe to my blog. Your support has been a great encouragement. Knowing that my experiences with Jesus regarding parenting and motherhood encourages someone else is a blessing to me! Thank the blogger who presented you with the award. Share ten things about yourself readers don’t know. Choose six people to present this award to. Let the six bloggers know they have been awarded. 1) My priorites are Jesus first, family second. 2) My husband is still my best friend. 3) If you told me when I was younger I would stay home home to raise my young children I wouldn’t have believed you. 4) I didn’t realize how much I didn’t know until I had to teach someone else. Parenting is rewarding, but humbling! 5) I am from the Bronx, NY and proud of it. 6) I am the first American in my immediate family. 7) So far, I’ve lived in seven states. 8) Writing is a recent delight. Last year I completed a writing course for children’s books and articles. 9) Looking forward to completing a book on parenting I’ve been working on. 10) How awkward it is for me to spend this much time talking about myself. Thanks for the stretch! Touching, you’re welcome. I enjoyed learning more about you – so neat.